In winter, waterfowl visit the Chesapeake Bay watershed by the tens of thousands, drawn by a mix of fresh and saltwater habitats, and hundreds of thousands of acres of rich wetlands that provide an ample supply of food. A major stop on the Atlantic Flyway, last year more than a million ducks, geese and swans visited the Chesapeake region. In the most recent Chesapeake Bay Watershed Agreement, the Chesapeake Bay Program set a goal to create or re-establish 85,000 acres of wetlands, relying almost entirely on agricultural land to reach that number. 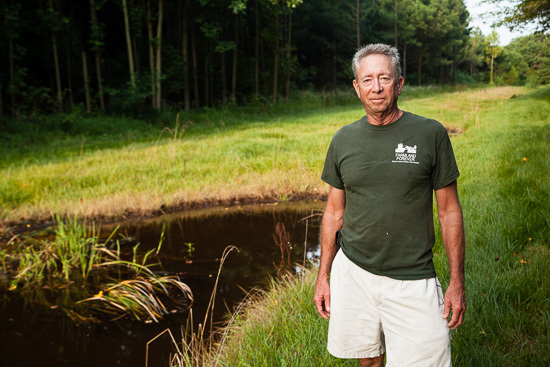 On one Eastern Shore farm, landowner Mark Furr wanted to see more waterfowl, and the soggy history of his particular stretch of the Delmarva peninsula made wetland restoration a natural fit. 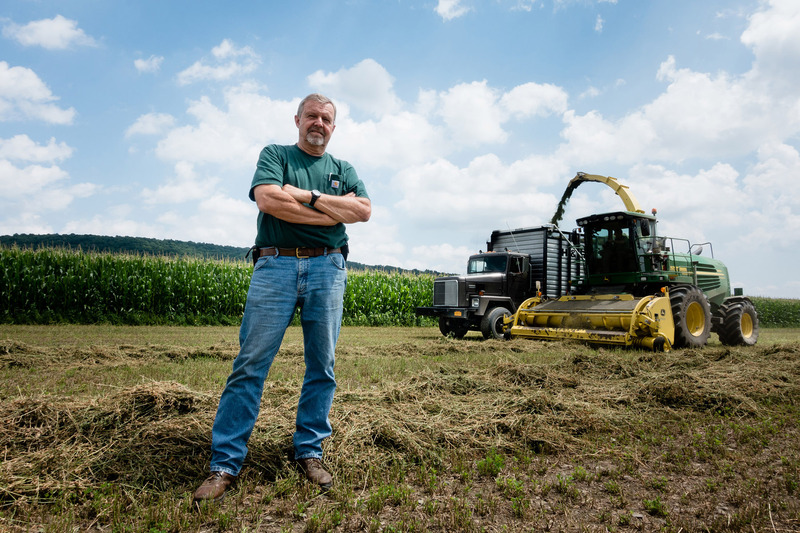 Furr leases his land to a farmer who had originally helped him locate the 397-acre property that he purchased near Greensboro, Maryland, several years ago. The farmer, who grows corn, soybeans and wheat on Furr’s land, was supportive of a potential restoration project but had never seen so much as a duck on the property. “I mean, maybe a mallard every now and then,” Furr said. Two years ago, Furr reached out to Jake McPherson of Ducks Unlimited, whom he had met in 2013 when attending a seminar on the organization’s Choptank Watershed Wetland Restoration Program. “There's some other organizations where you can donate your land... but to keep it a working farm it seemed like Ducks Unlimited was the best program for me,” Furr said. The project on Furr’s farmland re-established 10-12 acres of wetlands in an expanse known as a Delmarva bay—one of thousands of seasonal freshwater wetlands that range in size from less than an acre to several acres, and pockmark much of Caroline, Talbot and Queen Anne’s counties in Maryland. “I didn't really know what Delmarva bays were until I kind of got into this area and the farmer showed me on Google Earth all of these indentions in these farm fields and you could tell they were wet,” Furr said. According to Maryland Department of Natural Resources, two-thirds of roughly 17,000 Delmarva bays have been drained for agriculture or altered in some form. “Typically, a Delmarva bay is drained just by running a ditch into it,” McPherson said. Drainage tiles, which are buried across a field to carry water away, are one of the more difficult types of development to address, said McPherson. A tiling system might have been installed so long ago that there are no records of where it’s located. But the prescription for Furr’s farmland was pretty straightforward. “Plug the ditch, essentially,” McPherson said. The project, funded in part by Maryland Department of Natural Resources’ Chesapeake and Atlantic Coastal Bays Trust Fund, with matching funds from Ducks Unlimited, was completed in the summer of 2017. It didn’t even require intervention for native wetland plants—important foods and habitat for waterfowl—to return. “As soon as you return the historical hydrologic regime, you get all this native vegetation. 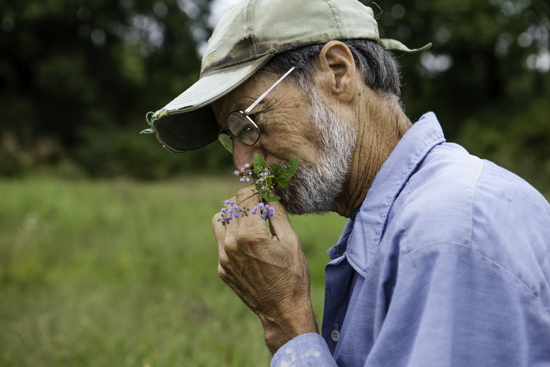 Anything from millets to smartweeds and you-name-it comes up, just because the seed bank’s already there in the soil from maybe hundreds of years ago,” McPherson said. McPherson will often tell landowners to wait a year to see what grows on a project site, to avoid the cost of supplemental seeding unless it’s actually necessary. The shallow water in Furr’s wetland will probably never be more than knee deep, which is just right for dabbling ducks and other waterfowl that feed by tipping forward as they swim. Furr said the site, along with another four-acre wetland previously restored on his property, hosted an impressive range of species during its first winter, mere months after it was completed. Furr estimated that roughly 15,000 snow geese—his favorite bird—visited the property last winter, the prime time to see waterfowl activity. This winter the wetlands, which McPherson said will probably never get even knee-deep, filled early. Furr observed large numbers of shorebirds, including snipe, that will pull invertebrates from the mud exposed when the water level drops. 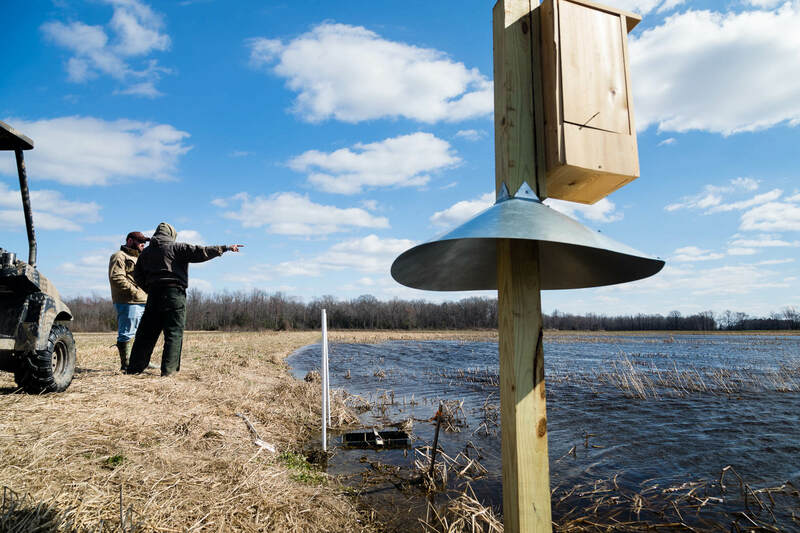 Near the wetlands, Furr erected 13 wood duck boxes—something he’s wanted to do his entire life. He has seen large numbers of wood ducks enjoy the ditches near the project that now remain full of water year-round. “It’s amazing how little water you need, particularly for wood ducks,” McPherson said. By adding wildlife, Furr credits the project for adding value to his property. And there is one final benefit to the surrounding farmland, especially when it faces drought conditions. “It also raises the water table, which I believe, and the farmer believes, will actually enhance the the crops nearby,” Furr said. If you are interested in learning about how to restore wetlands on your property, please visit WetlandsWork.org. Great job Mark Furr and Jake McPherson! I love to see those Delmarva Bays restored to their original function. Keep up the great work.